This confident combination makes a strong case for your talents. Pack it up – With 4 large Utility Pouches, you can organize to your heart’s content. 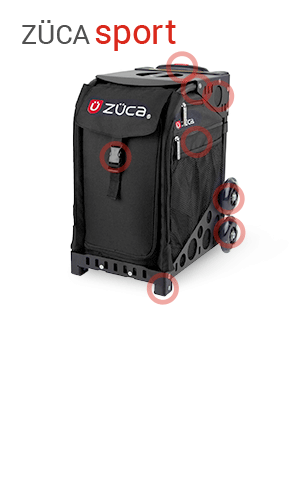 Our ZÜCA Utility Pouches are lined with durable, easy to clean clear vinyl.